7 Things I'm Currently Loving. Or, you know... Obsessing about just a teensy bit because that's the way I roll. 2. 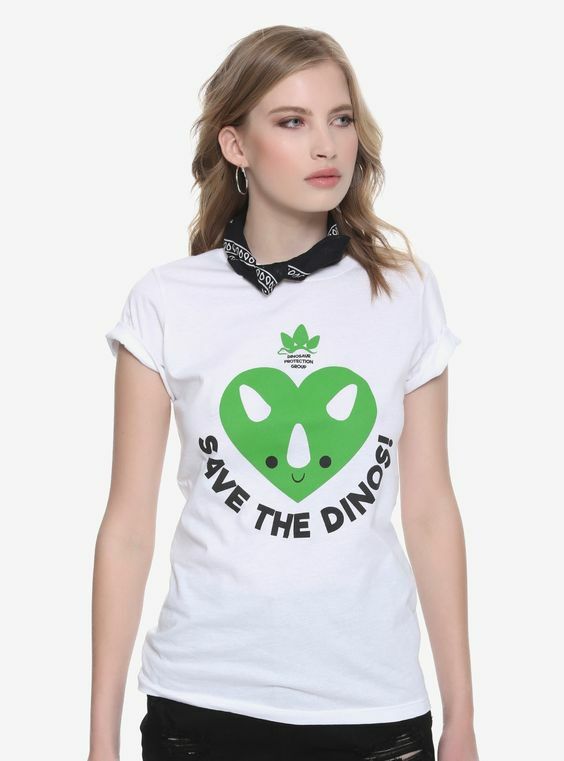 Jurassic World must-haves. 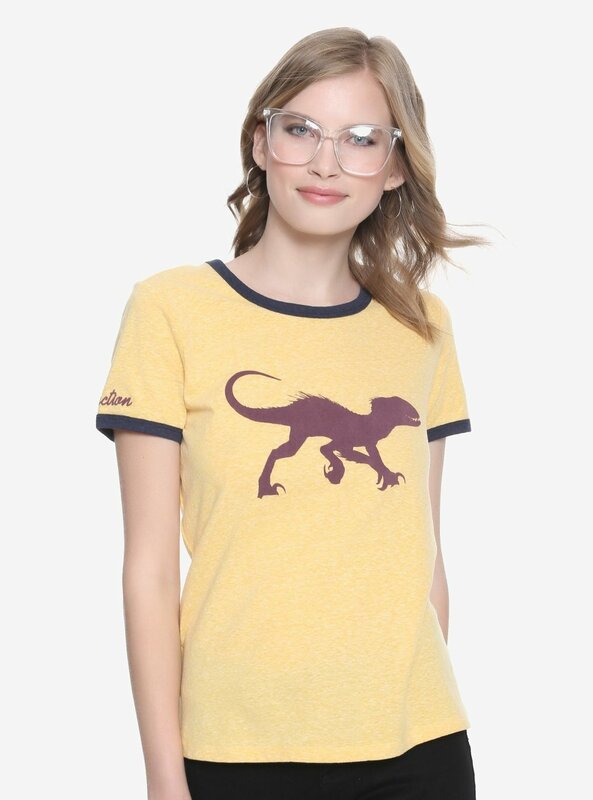 Yup, I loved Fallen Kingdom (I'm actually writing this right before a second viewing), and so my inner-goodies collector jumped into action, scoured the interwebs and found these two t-shirts. 't Was love at first sight and I can't wait until they arrive. 3. Plant Babies. I loved watching all my plants thrive ever since Spring kicked in, and I still can't get enough of all those new leaves uncurling. It's like welcoming babies, people, do not judge. 4. Wizard's First Rule. This was probably the first Fantasy book I read after Tolkien, and I remember not quite believing someone could sweep me away to a whole other world like he did. 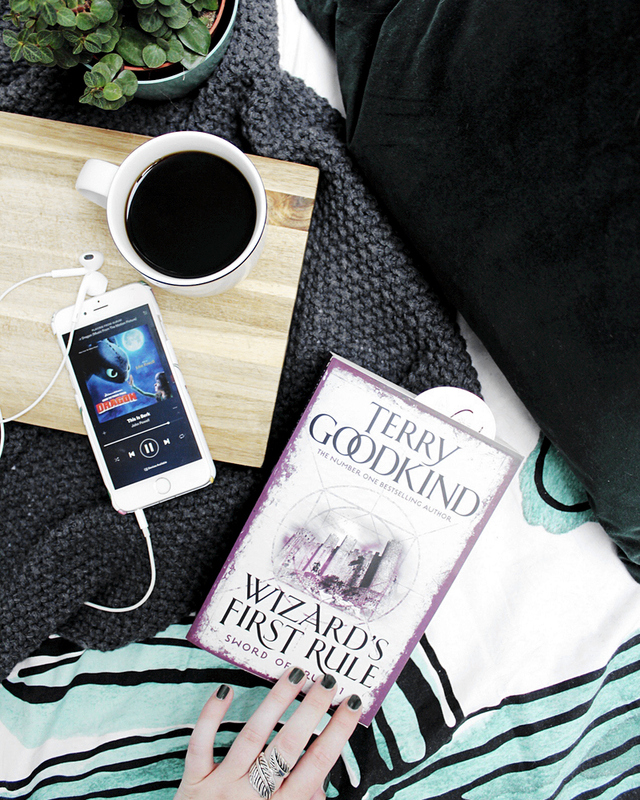 Goodkind definitely managed to do so when I first read his books as a teenager, though, (that's how long ago that was, yeah... ) and so, last week, when wages were paid and I was feeling a bit nostalgic, I ordered my very own copy of the first book in his The Sword of Truth series. No regrets there, because the minute I started reading the first few pages, I couldn't stop. Ah, nothing's changed. 5. The Tattoo Search. I've finally managed to save a bit of money for a new tattoo and started on a wish list. 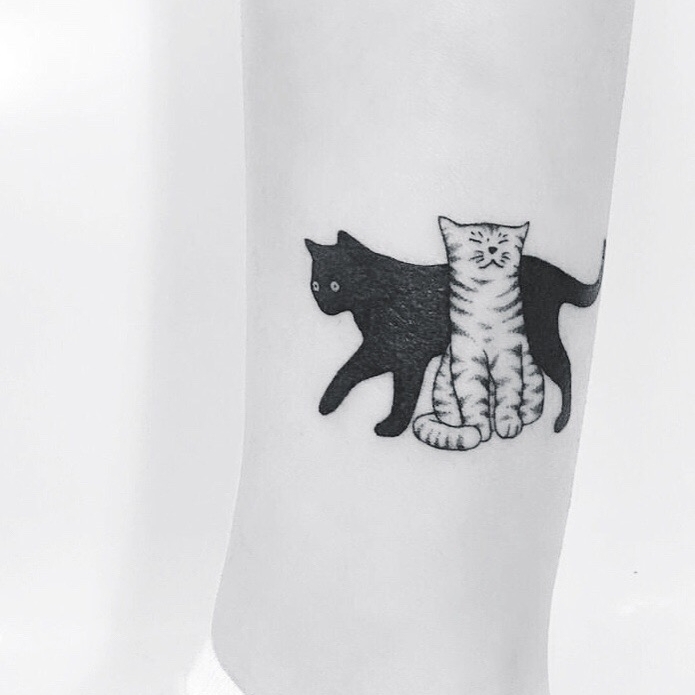 The current winner (especially because those two weirdo's of mine are getting cuddlier and cuddlier) is the cattoo, although the leaf tattoo on the right is definitely high on the list as well. Expect a post soon because it truly is at the top of my mind right now, OR click through to see a couple of other contesters already. 6. My '30 things before 30' list. I'm turning 29 next Saturday, which is awfully close to the big three-zero innit? The age when you're supposed to have at least the biggest part of your life together, and so I thought it would be interesting and fun to put together a list of things I wanted to accomplish by next year. And... I'm stuck at 23. Which is good, right? Means I've done a lot of things already? It's either that or I don't have enough dreams and ambitions. I vote for the first option. 7. 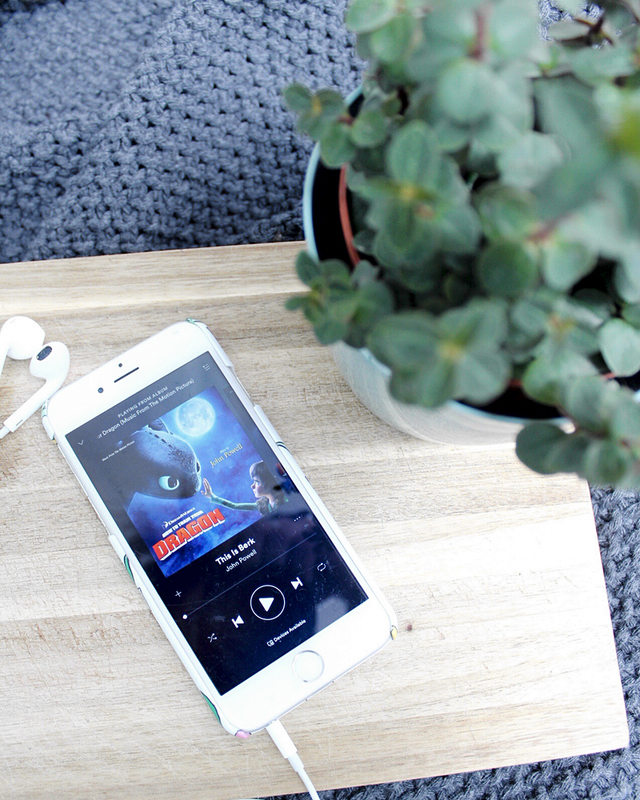 How To Train Your Dragon EVERYTHING (but especially the soundtrack). Last but not least: how about that trailer for the third and final How To Train Your Dragon film, peeps?! I l-o-v-e-d it and can't wait for it to come out. Yes, I do have a weakness for good animation films, and if there's one I have to name as my absolute favourite of the last couple of years, it's definitely this one. I simply adore the design, the music, Toothless' little quirks,... The score from both films has been my go-to writing soundtrack today, and I'm rewatching the previous instalments. Although I feel like I'm not quite ready for the second one (are animated films super-SAD these days, or what?). Q: What are your favourite things at the moment?